..is that once you’ve got used to the Jerk (and even the Push Press) it’s really tricky to keep your knees from sneaking in a shifty bounce to get the weight up overhead. I was in the gym this morning, looking at putting in a solid 6 minutes of Clean & Press (as per Kettlebell Pentathlon timing). But although it was an easy enough weight, I kept slipping back into using my knees to gain momentum to get the bell up. Totally counter productive, of course, as I would be disqualified in competition. So, I am taking some sound advice from someone much more experienced than me, and am going to try and remember to view the movement as Press & Clean, rather than Clean & Press. This means that from resting the bell in rack position, I have time to get my attention focused on the lift as a straight press, before changing tack – and bringing it down and then cleaning the bell with a bend at the knees in both those phases of the exercise. 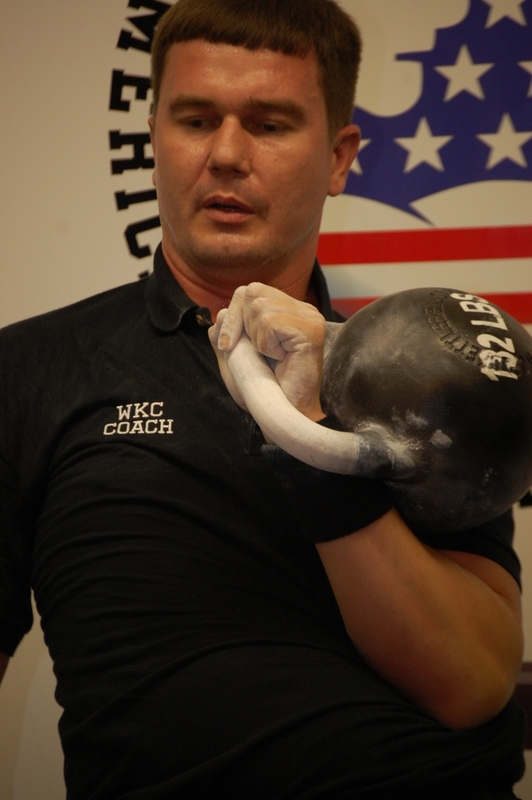 This entry was posted in Clean & Press, Jerks, kettlebells, pentathlon, push press and tagged Clean & Press, Jerk, kettlebells, Pentathlon training, push press by admin. Bookmark the permalink.